It’s December, which means we have reached the final post of our year-long food holiday series. Since this is the quintessential holiday month, we’re going to focus on foods that fall in the “sweets” category. Sometimes, it’s harder to think about the farmers behind our food when that food isn’t from the produce isle. But they’re behind it just the same, even if that food is a holiday beverage, a dessert, a seasonal candy, or the sticky stuff you put on your pancakes. So let’s get going and talk Christmastime food. According to historians (and Time Magazine), the earliest iteration of this popular holiday drink first appeared in early medieval Britain. This drink, called “Posset,” soon evolved into the eggnog drink that made its way to America in the 1700s. Generally, the ingredients of early eggnog were pricier, making eggnog an expensive drink that was associated with the wealthy. Those ingredients included milk, eggs, spices, sugar, and sometimes alcohol. Thanks to the abundance of eggs and cream in the colonies, however, the drink became a hit among early Americans. Even George Washington had his own eggnog recipe. 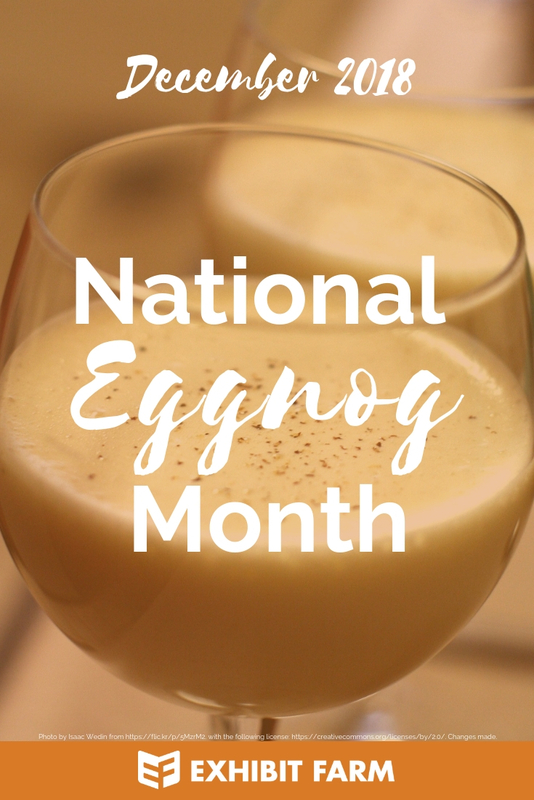 The variety of ingredients in eggnog means that we have several different ag groups to thank for this fabulous drink. This includes the dairy, sugar, egg, and spice industries. One spice frequently present in eggnog drinks is nutmeg. Nutmeg the spice comes from the seed of the nutmeg tree, a tropical evergreen tree that grows in locations such as Indonesia and the West Indies. Although not known as a highly produced spice in the United States, nutmeg trees can grow in the hotter, sunnier parts of the country. On top of that, the country is among the top importers of nutmeg in the world. Maybe that partially has to do with how much Americans love to enjoy a cool glass of eggnog during the November and December holidays. Nutmeg is great, but we of course can’t forget to give a nod to the egg, sugar, and dairy industries. 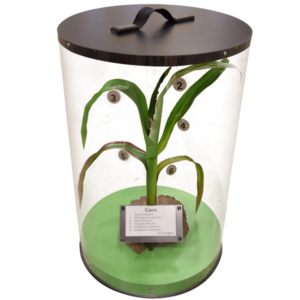 For these products, we have many states to thank, since all fifty participate in egg and dairy production at least. I would be amiss, however, if I didn’t mention that the record-holding for production of eggnog’s ingredients goes to the states of Iowa (for eggs), Florida (for sugarcane) or Minnesota (for sugarbeets), and California (for dairy). 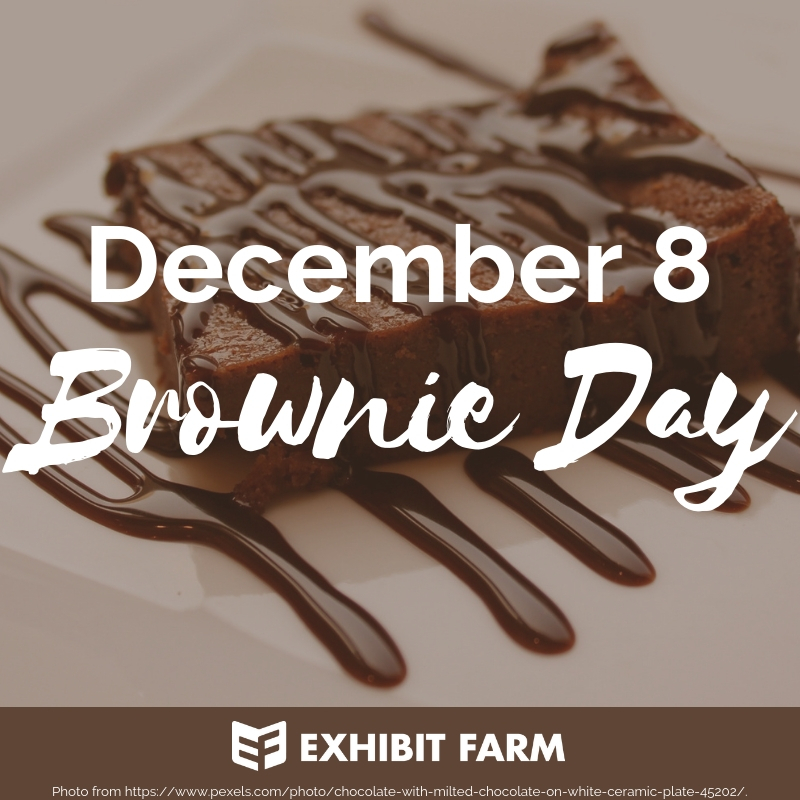 As with most popular treats we enjoy these days, myth and legend obscures the true history of the brownie. Whether it was a baking mistake resulting from either failing to add certain ingredients to chocolate cakes or inadvertently adding chocolate to biscuits or if it was actually the result of a team of chefs working together to make a dessert that could be safely stored in boxed lunches, we can’t know for sure. What we can know, though, is that these excellent little desserts have become crazily popular among dessert-eaters all throughout the country. In addition to the classic baking ingredients such as flour, butter, eggs, and milk, the ingredient that makes this dessert a brownie is the cocoa powder and other chocolate chunks in the batter. This powder comes from grinding the seeds of the cacao tree. As we learned in our October food holidays post, all of the cacao in the world comes from warmer regions of the globe. The only commercial grower in the United States is Hawaii, and even that industry is very small. The main cacao producers today are countries in Africa, but that’s not to say that Americans don’t enjoy their fair share of chocolate. The United States, in fact, is the top chocolate importer, bringing in as much as $2.8 billion worth of chocolate in a year. That’s over 10% of all chocolate imported worldwide. And it’s safe to say that a good bit of that ends up in your grandma’s brownies. With a maple leaf on their flag and all, Canada basically has to be the world’s top maple syrup producer. And she is. 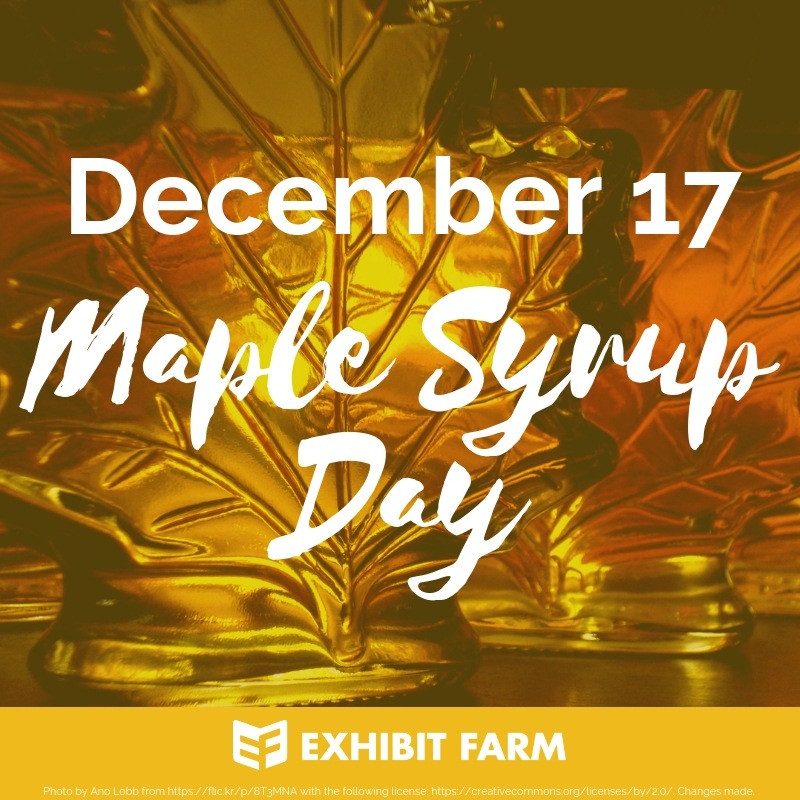 In fact, that country produces 80% of the world’s maple syrup. But the United States makes its fair share too, taking second place internationally. Vermont, New York, Maine, and Michigan are in the top seven regions for worldwide maple syrup production. Before we go any further, though, we have a very important question to answer. What is maple syrup anyway? Well, there’s this stuff that circulates inside of the trunks and branches of trees called “sap.” It’s mostly water, but it’s also around 2% sugar. Getting this maple sap requires harvesters to pierce holes in the tree trunks at prime times of the season. Those prime times come when there’s an alternating freezing and thawing, which usually happens during a span of a few weeks in the spring (and sometimes fall). That thaw gets the sap flowing in the tree. Using either traditional spiles or more modern suction pumps and tubing systems, folks extract that moving sap and collect it in buckets or storage tanks. After collecting enough sap, they boil it down until most of the water content has evaporated. What’s left is the syrup—basically just the sap’s sugar content. According to maplesource.com, it takes about 40 gallons of sap to make just one gallon of that syrup. And, usually, it’ll be somewhere around 33% water and 67% sugar—as opposed to the 2% sugar of the original sap. 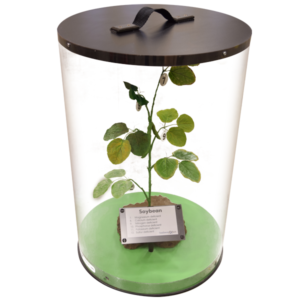 Just a hint for those of you who are thinking of tapping your own trees this spring, don’t forget that it has to be the right kind of tree and it needs to be big enough—and it normally takes about 40 years for a tree to get there. Unlike maple syrup, candy canes don’t come from trees. The ingredients of this Christmasy treat, however, all have their start in nature. These ingredients are sugar, water, and corn syrup. Water, obviously, doesn’t grow on a farm. But the sugarbeets, sugarcanes, and corn that become our sugar and corn syrup sweeteners sure do. Next comes some starch and peppermint flavoring. We have farmers to thank for these ingredients as well. 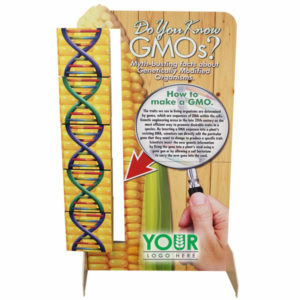 The starch, for example, is extracted and refined from any number of different plants. As Wikipedia explains, as many as 50 types of plants are used in the starch industry including corn, cassava, potatoes, wheat, and rice. Usually, starch’s job in a recipe is to thicken, stiffen, or glue, and it certainly does its thing in a candy cane. The peppermint flavoring, meanwhile, comes from the peppermint plant, another plant cultivated by farmers. As we learned in our June Food Holidays post, the United States grows over 70% of the world’s total supply of mint. For peppermint production specifically, Morocco takes home the gold. But we still grow it, and our top-producing states are Oregon and Washington. 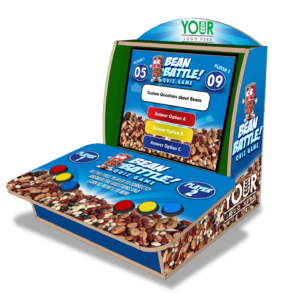 To see the magic that makes candies out of these ag-grown ingredients, check out this video. This behind-the-scenes look at candy cane production also reveals the trick of the candy cane’s mysterious J-shaped bend. Although there’s debate over the origins of candy canes and whether they have a symbolic meaning, the undeniable fact of today is that candy canes are the iconic Christmas candy. 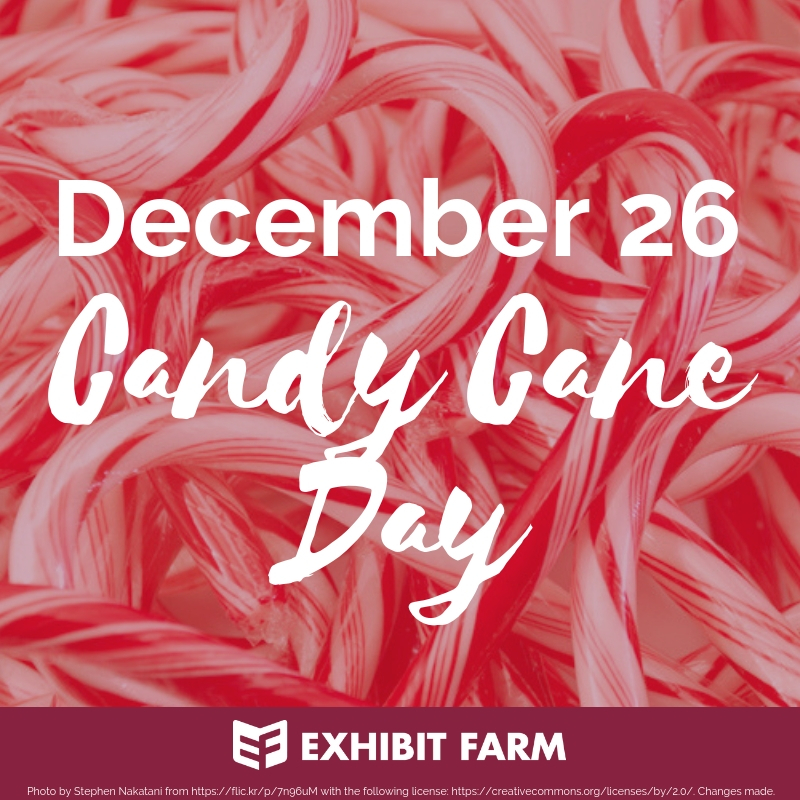 As The Daily Meal notes, candy canes are “the top non-chocolate candy sold during December.” In the weeks between Thanksgiving and Christmas, consumers purchase 90% of all 1.7 billion candy canes produced in a year. That’s no accident. As you head into the heart of this Christmas month, take the time to enjoy these delicious holiday treats. And don’t forget to thank the farmers who have worked to make them possible. At the same time, though, try to remember that good food doesn’t end with this series. All of the food holidays that we’ve been observing this year will return in the coming year. So, when January arrives, why not start again with your food holiday observances? If you’re looking for a good place to start, I happily refer you to our very first post of this series. I hope you enjoy rediscovering the delights of food as the new year rolls in. For the rest of December’s food holidays, check out this comprehensive list at Foodimentary.com.